Created in 1980 by its owner Raffl Alfred as a family business, our company Schmiedeform S.n.c. 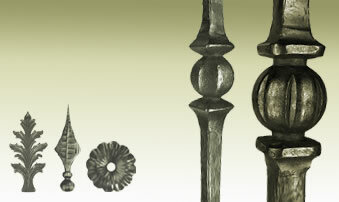 has grown to become one of Italy's leading manufacturers of wrought iron products. Most of our wrought iron products are designed by us: our success shows, that we satisfy the customers' needs and requirements. We are able to offer competitive prices and short delivery times. The high quality standard of our products guarantees perfect processing and best functionality. Among our customers, we can count on rank well-known wholesalers in Italy and all over Europe. Discover our new line Cherin and be fully surprised by the completely new forms. Generate your personal wrought iron railing. 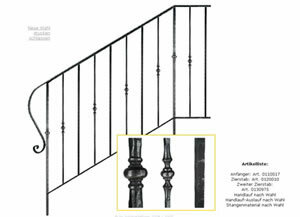 Select in addition newel posts and bars. 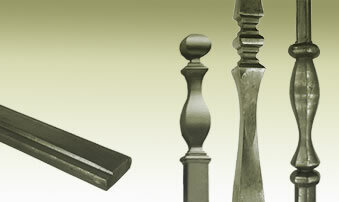 Newel posts, bars and many other elements in wrought iron for the realization of railings, fences etc. 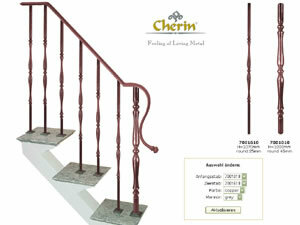 Productline "Cherin", completly new forms for the construction of railings, furnishing-articles and many others.